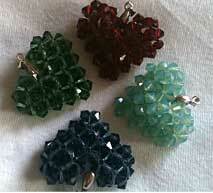 I make jewelry using Swarovski crystals. Bought some instructions and from there, it took me three months. I have always loved jewelry. My sister was getting engaged and did not want to wear gold or silver. 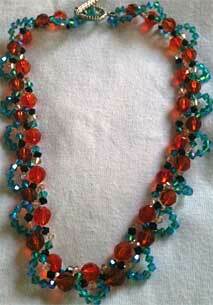 My outfit was vibrant blue colors and I made a necklace using Swarovski crystals. No one, it just came to me because I love jewelry so much. I am not well, so it helps me relax. My website is www.sultanascrystals.co.uk. I also set up at the bbc summer fairs and festivals.